Great as Manhattan is, the space constraints are rough, which makes finding an awesome beer garden quite difficult. Your options are limited; while I’m not above brown-paper-bagging in the park, unfortunately, public intoxication is frowned upon illegal. Venturing to outer boroughs might yield great spots, but it’s a real commitment, plus with the weather we’ve been having lately, who knows when outdoor venues will be a safe bet?! My solution? 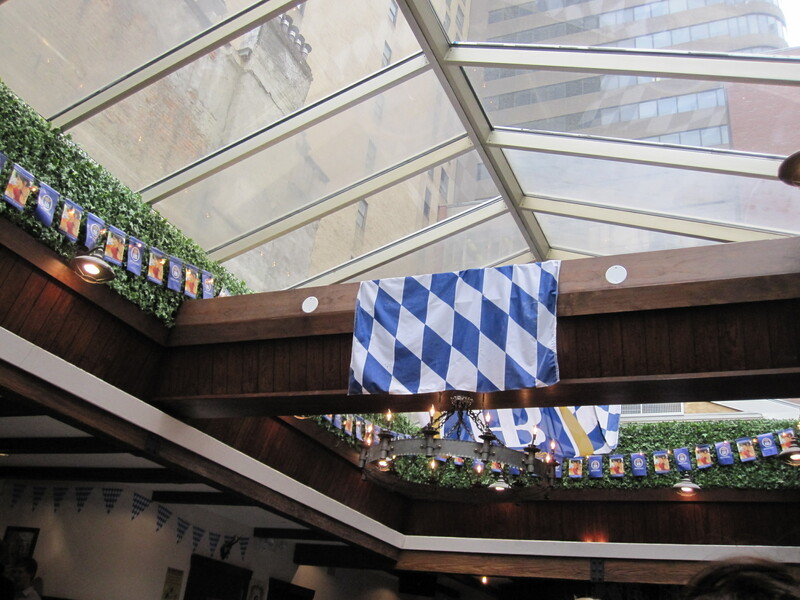 Think outside the box and head to Bierhaus (3rd Ave @ 45th St), an unconventional Midtown spot with all-weather-friendly appeal and beer garden feel. All the beers served are Hofbräu, so if you’re looking for something that tastes like a Blue Moon, Stella, etc, just ask a bartender or St. Pauly Girl your waitress and they’ll hook you up. Staying with the theme, you can expect German music both over the PA system and live, feat. the Polka Brothers. 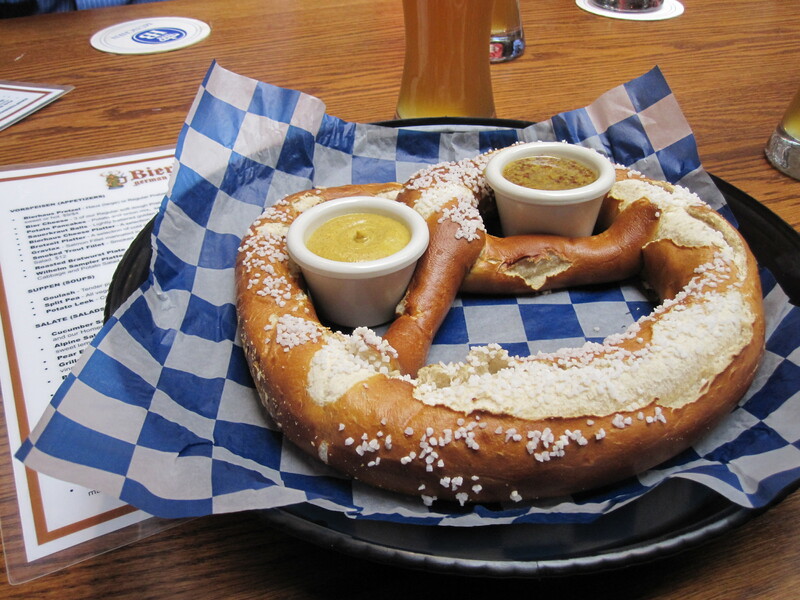 The soft dough pretzel is pretty awesome; get a large ($9) and try both mustards – the spicy is sinus-clearing! While there’s no replacing an authentic, outdoor beer garden, sometimes it’s just not feasible – so why miss out on the experience? Bierhaus is a legit alternative that’s so convenient you can roll up with your bros and lederHOSen.